I haven't posted in 5 years! Wow, life has been busy. I am now posting things I want to access easily (aka I lose papers in the house). Hopefully I can soon throw away all papers with my notes. It's an old tradition to bless your home on the Feast of the Epiphany – the Twelfth Day of Christmas. The century and year surround the initials C + M + B, which are both symbolic of the traditional names of the magi (Caspar, Melchior & Balthasar as well as the initials for the Latin phrase "Christus manionem benedicat" ("May Christ bless this home"). Ch. 2: Why Do I Need the Spirit? All your video needs-film weddings, school performances, family reunions, tribute videos, and more. Call Stephen at Seaviews Multimedia 979-574-9245. I was born and raised in Fort Worth, Texas, Yee-Haw. 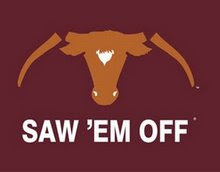 I am a proud member of the Fightin' Texas Aggie Class of '94. I have been blessed with a wonderful husband and 4 beautiful children plus 4 angel babies. We are members of the local Catholic church. Besides being with my family, I love cooking, baking, decorating cakes, and saving money!